Greece is a small Mediterranean country with a huge tradition in hunting. The majority of the male population in rural Greece but the cities as well practice hunting as a hobby. The hunting society and the Animal Welfare are two worlds apart and bringing the two parties together seems impossible. 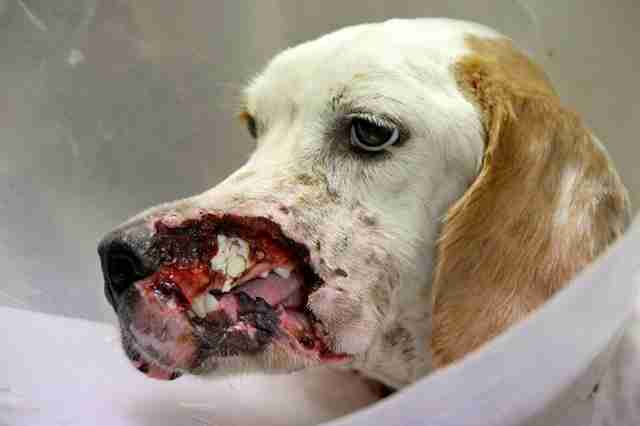 Hunting dogs have been for years the innocent victims of that "hobby". They spend their entire lives chained and barely get any exercise when hunting season is off. They are never treated as pets and are mainly considered tools. If they can get the job done, they're worth keeping. 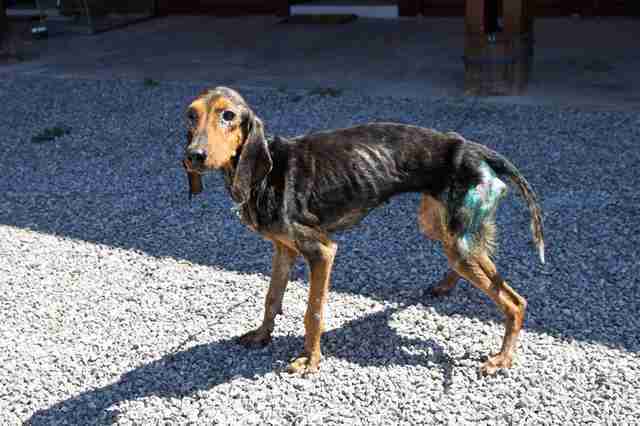 If not, if they get hurt, sick or just too old, abandonment is the most frequent solution. It's also very often that the dogs get lost in the mountains while hunting. Most of them will come back to the place where they were first let loose, and some hunters wait for them, or return to the spot hours later to retrieve them. But some don't. It is believed by many hunters that if a dog gets lost it is not good for the job and therefore not worth retrieving. However, the dogs always come back and wait. The wait for days in the same place where their owner let them free. 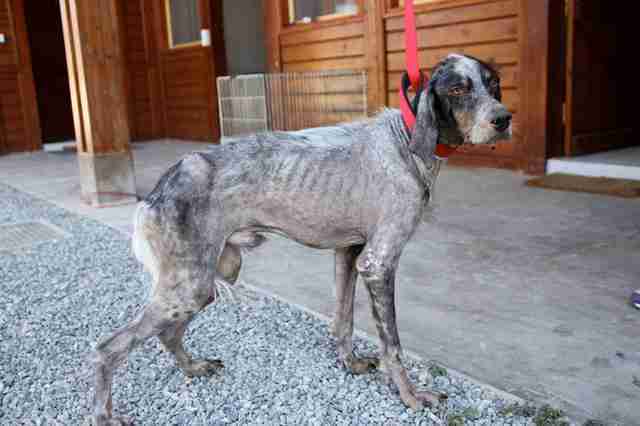 After starving and living in agony for days, or even weeks, they try to make it back to civilization, and it is one the main reasons why they are always found emaciated and wounded. 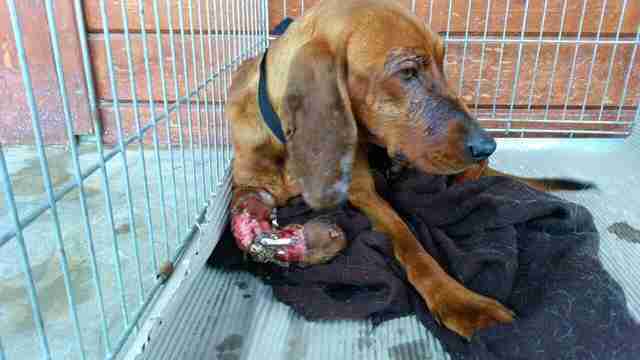 The number of abandoned hunting dogs in Greece every year exceeds the number shelters and animal welfare groups can absorb. 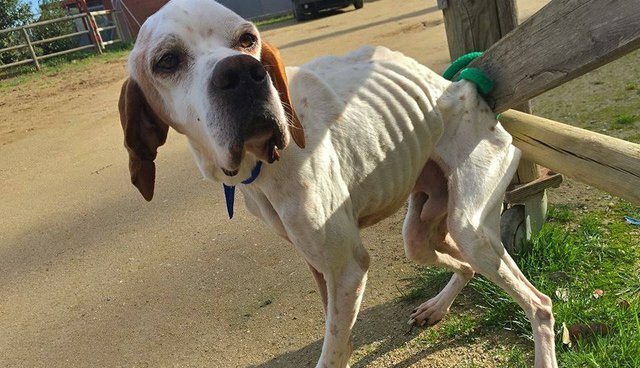 Purebred or not, found emaciated, starved, sick or severely hurt, they make one third of the rescue dogs in shelters, and when it comes to adoption, they are never a priority. Too many are taken in by the shelters but few make it to their forever homes soon. Recently Save a Greek Stray has proposed to the hunting society that any unwanted hunting dogs be surrendered at the shelter, and hopefully this might be the beggining of a dialogue between the two parties.